Quick overview of the beer. It’s and Extra Special Bitter, roughly 5.2% ABV same as its previous incarnation. 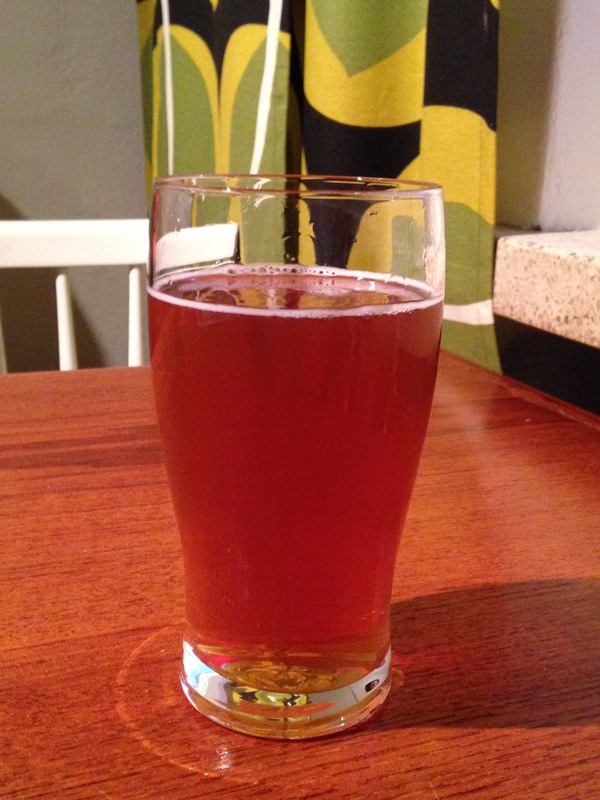 It used Fuggles, Willamette, Cascade and E. Kent Golding hops. Malt bill is quite simple, pale malts, cara pils and caramel malts. It used Wyeast #1084. Just as last time I’ll separate the evaluation into sections. I’m probably gonna get some input from Anni on this since she likes the style more than I do and will probably provide a better explanation of it. 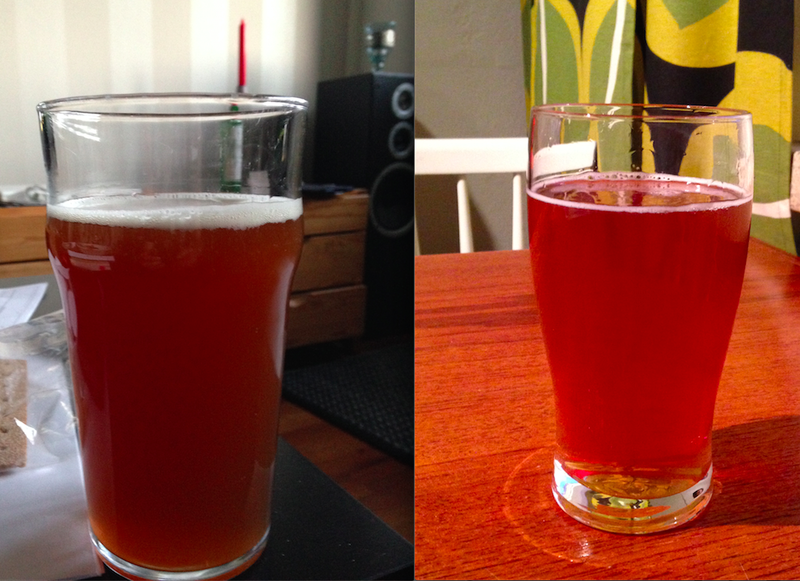 Granted there is a difference in lighting you can see both that the beer is cleaner and clearer. Overall we’re quite pleased with the color. The carbonation level came out ok, but on this case it had practically no head. This is not very consistent though, other bottles have had better carbonation than this one in particular. Since it has no head, no need to speak about retention. The overall feeling of carbonation is good though, and it fits the style, so no complaints. If you ask Anni, she likes the smell, if you ask me I think its a bit on the tangy (grapefruity) side. Hops are perceptible, but not the nice aroma I’ve come to love. There is a light yeasty smell that disappeared the later we stored the bottles and the more we cooled them. Overall good enough for a first try. I pretty much feel the same this time. Except that there is no yeasty smell, the beer is much cleaner and crisper, but the general feeling, “grapefruitiness” is pretty much the same, hops are slightly more perceptible and there is a slight malty smell to it. Overall a good improvement. It’s supposed to be an ESB and it tastes like one. I bit to much grapefruit if you ask me, but the taste is good. Slightly malty, distinctive diacetyl as expected in the style. Fresh and crisp, the taste varies depending on how long its left in cooling, longer is better. Even if the beer is good and fits the style, it doesn’t mean you’ll love the beer. But other people might. This is not my favourite, but I think its because I’m not that partial to this style of beer anymore. I think trying out the same recipe with a more traditional british yeast would be interesting. Similarly, it would be interesting to make a stout with the irish yeast to see how it behaves. I don’t think I’m very fond of how it tastes in ESB’s. Granted, everyone else has a better opinion of this beer than me.